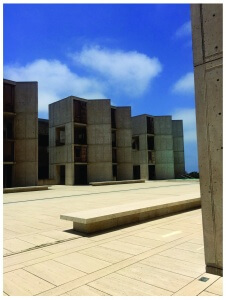 Thoughts While On Vacation…Visiting the Salk Institute in La Jolla! Ancon Architect Matthew VanSoest and family recently “chased the sun to the West” and vacationed in San Diego, California for the 4th of July holiday. 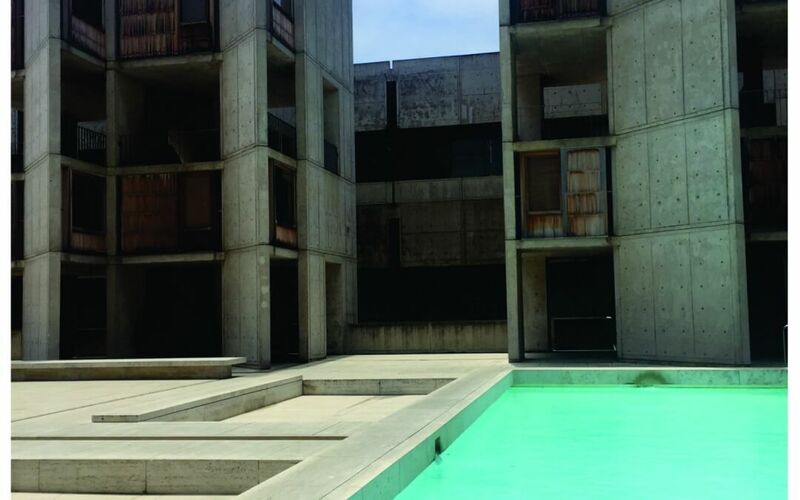 VanSoest had the opportunity to take an architectural tour of the Salk Institute for Biological Studies in nearby La Jolla, California. 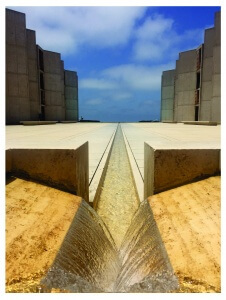 The Salk Institute for Biological Studies is an independent, non-profit, scientific research institute founded by Jonas Salk in 1960. VanSoest concludes by stating: “It was an enriching time to visit and experience the work of a famous architect of nearly 50 years ago and gather additional ideas and concepts for future projects with our clients. Balance and harmony between form and function, aesthetics, and cost effective solutions, found in La Jolla, California are also important to the team at Ancon in Goshen, Indiana as we continue to define Michiana through our design and construction services.” These experiences will only serve to strengthen our architectural team which, in turn, gives our clients more options when beginning the design concept.